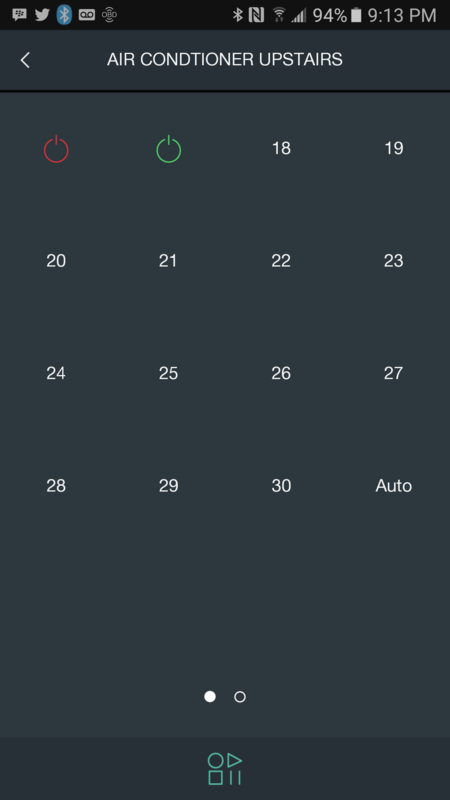 I’ve covered Smart Things for retrofits in my last article so you should know by now how much of a fan I am of using it with custom device types. However one thing I didn’t cover is how well it integrates into the Logitech Harmony Hub. The Harmony Hub is an internet connected infrared blaster/repeater. 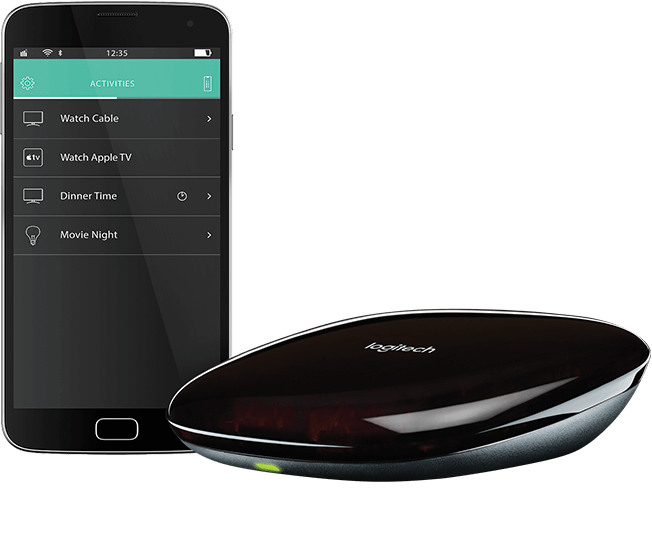 You can us the logitech smart phone app to control your IR based home theater equipment, but you can also use it to control WIFI or Bluetooth enabled smart home equipment. It can talk to SmartThings, Nest, or any number of popular home automation gear. It’s actually a very cool thing to own in your smart home because it ties your home automation and AV equipment together. For example the physical harmony remote control shows your thermostat info right on its LCD. It show temperature and operating mode, it lets you make changes to your thermostat right from the remote. To those of you who will not be using SmartThings, I think you could get similar functionality using whichever hub you currently use to control your smart home. The Harmony Hub is the key to this project. It occurred to me that I could now use this IR blaster to control all of my legacy appliances in my house that are IR based. 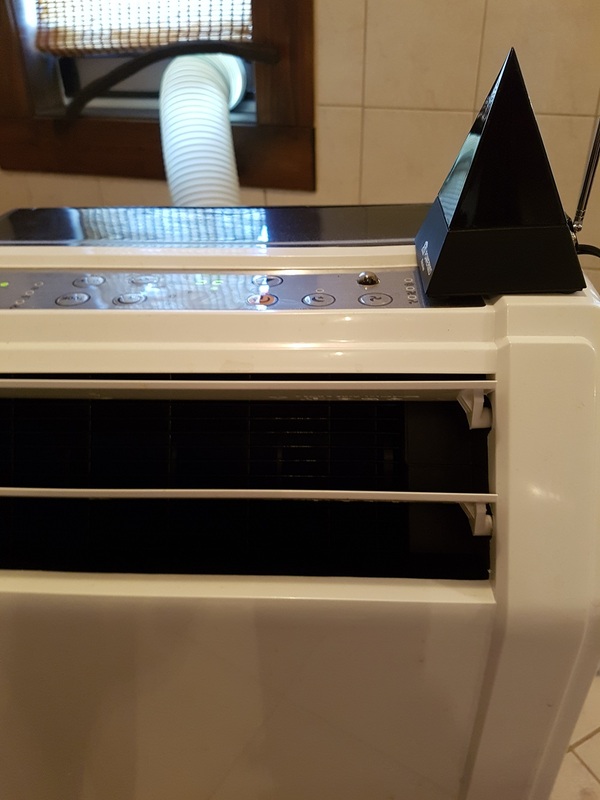 I have two portable air conditioners which have IR remote control. I also have an older roomba which takes IR commands. As a side note, I also plan to purchase an LED light strip, and I’m considering buying a cheap one that is controlled by IR remote, rather than spending the extra money for an internet connected one such as the strip that Philips provides for their Hue line of products. No w the problem I faced was that all of my IR devices are in different rooms. So how can I reach all of them from the Harmony Hub without running blaster wires everywhere? The answer was with an IR to RF repeater. In my case an X10 Powermid set. The power mid takes IR input into one module and then repeats it over RF(radio) to the receiving end, which then turns the signal back into IR and repeats it to near by devices. There’s probably other good IR to RF repeaters to be found on the internet, I just happened to already have these in a big box of old X10 gear I got at a significant discount. On their own they are still a bit pricey on Amazon, but if you look around I’m sure you can find them cheap. The set up is easy. 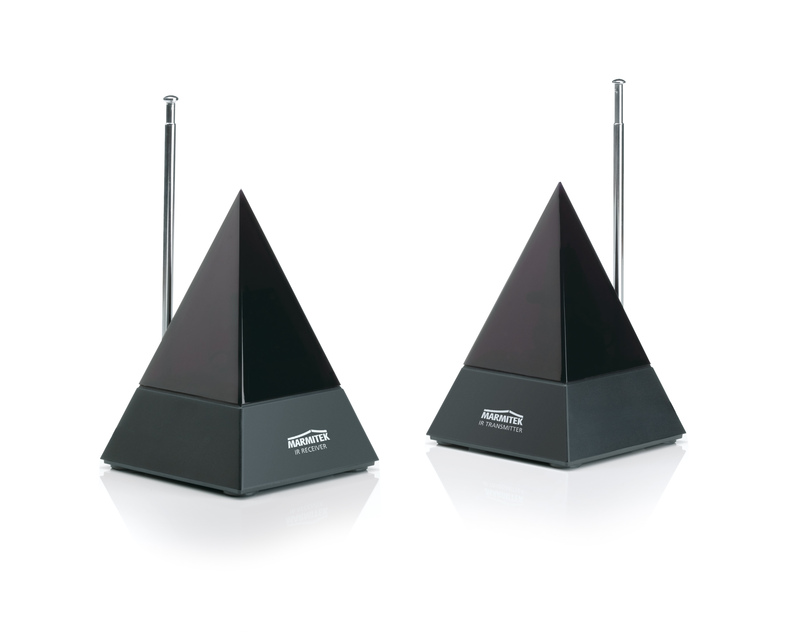 Put the transmitter powermid near your Harmony Hub. 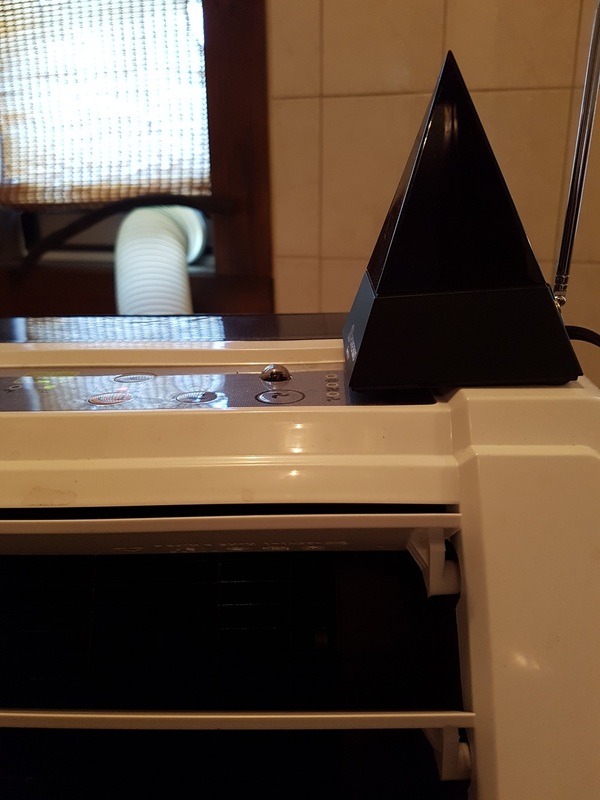 Then place the receiver powermid near the device you want to control, in my case, a portable air conditioner. The next step is to add a custom device to the harmony hub using the smart phone app. This is a familiar process to some of you. You take your air conditioner’s remote control and use it to train the hub so that it knows all of the remote’s command signals. When it is all set up you will have a device on your smartphone app that looks like this below. You will also have the device show up on the harmony TV remote. All of these commands had to be learned from the AC’s remote control. So what’s the end goal here? Well since we are now able to control the portable air conditioner from the harmony hub and wifi app, you can also control it from SmartThings or Nest. SmartThings already controls my main furnace/thermostat system. I have zigbee temperature sensors all over my house. I use these sensors to inform SmartThings. 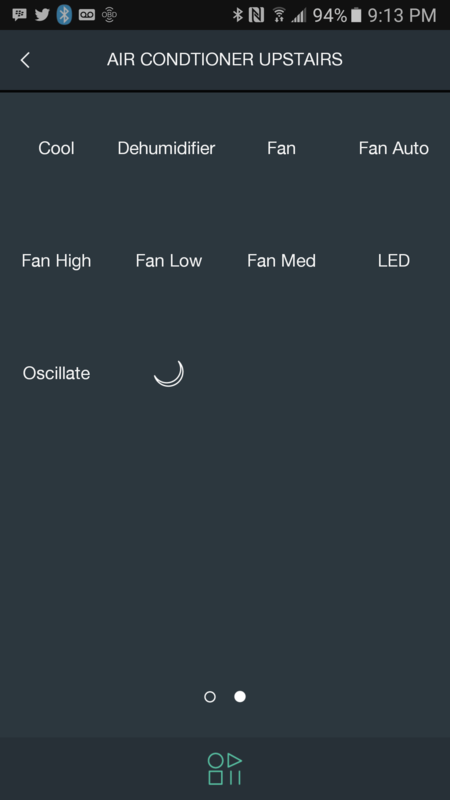 And in turn SmartThings controls my thermostat and toggles power to my ceiling fan. It’s a simple matter of adding a Harmony Activity to that behavior. When it gets hot in my house, turn on thermostat AC, ceiling fan, and send power on command to the IR based air conditioner. It’s that simple. The only gotcha is the Harmony Hub only allows smart home devices (nest, smartthings) to toggle activities, it does not let you toggle devices directly. This causes a bit of trouble because it interferes with normal home theater activities. For example lets say you were watching a Bluray, your hub and remote would be in the Bluray activity and show you all of the relevant buttons and options for watching movies. If you had your smartthings or nest toggle the ‘Turn on AC activity’, your remote control would switch from Bluray mode to AC mode. All of the buttons would change. This would be very annoying. Because of this I recommend owning two Harmony Hubs, one for smart home devices, meant purely as a bridge between Wifi and IR, and a second hub for home theater equipment. This seems like something Logitech could fix in software however.